I and our MPP Yasir Naqvi, along with the Civic Hospital Neighbourhood Association (CHNA), will be attending a public open house on January 13 starting at 7 pm in the Foustanellas Auditorium of the Heart Institute. The Institute's project lead and contractor PCL will be on hand to discuss the project timelines and neighbourhood impacts. I've had productive meetings this week with Institute and Hospital executives, and will be working with the community and CHNA to ensure our day-to-day construction concerns are addressed, and that the lines of communication are open. 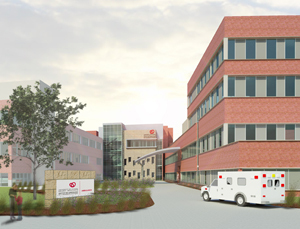 The Heart Institute is in process of creating a blog to keep residents apprised of progress. The CHNA will also be publishing information for residents; my thanks go to them for their heavy engagement with the project already. 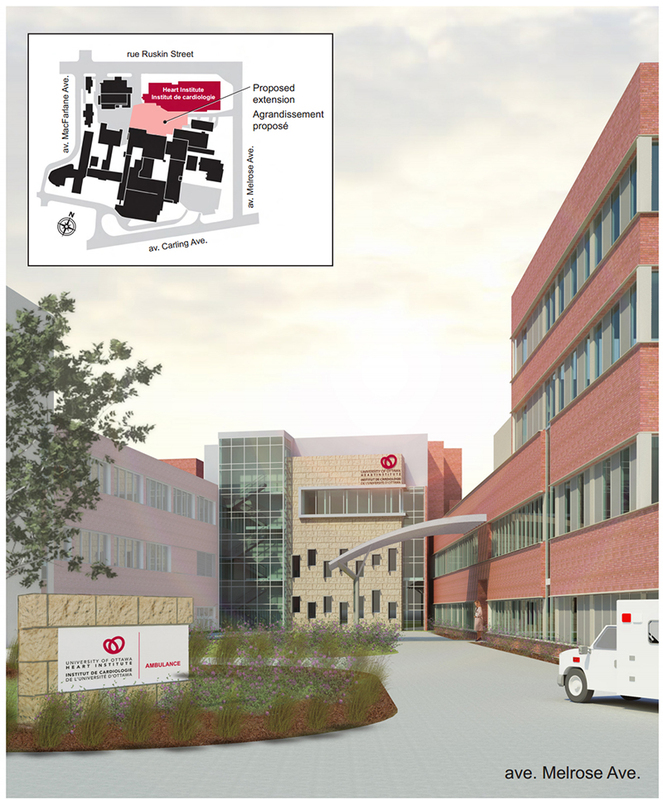 The University of Ottawa Heart Institute is expanding to the south of the existing building with a new 5-storey extension plus sub-level parking. Phase 1 of the expansion kicks off this month, and will continue through May.